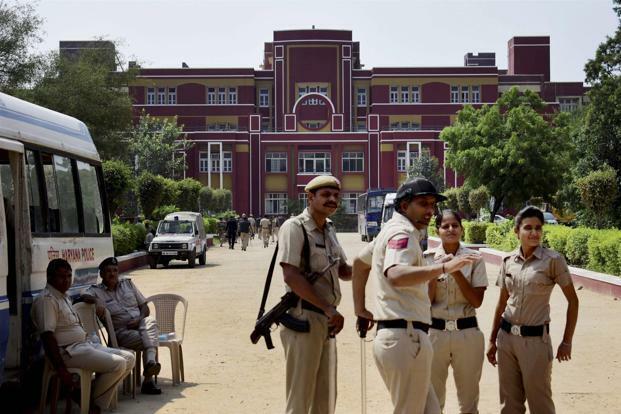 The Supreme Court today dismissed a challenge to the Punjab & Haryana High Court's order granting anticipatory bail to the owners of Ryan International School. The Bench of Justices RK Agrawal and AM Sapre pronounced its order today in an appeal filed by Barun Chandra Thakur. The Court had reserved judgment on December 7. Appearing for the owners of Ryan International School, a team from Karanjawala & Co led by Partner Sandeep Kapur (along with Niharika Karanjawala, Apoorva Pandey and Kashyap Gudipati), argued that the CBI had not levelled any allegations against their clients Augustine Francis, Grace and Ryan Pinto, and that there was no evidence to suggest their involvement in the murder of the seven-year-old student. The appellant, on the other hand, had alleged that the Pintos had concealed material facts when they approached the Punjab & Haryana High Court seeking anticipatory bail. Further, it was contended that they ought to have approached the Sessions Court before going to the High Court. After the Bombay High Court had dismissed their anticipatory bail applications, the Pintos had approached the Punjab & Haryana High Court, which granted them the same on November 21, based on a number of conditions. The case was earlier marred by controversy after the Bar Association of Sohna passed a resolution barring local lawyers from providing representation to the person accused of murdering the seven-year-old Ryan International student.